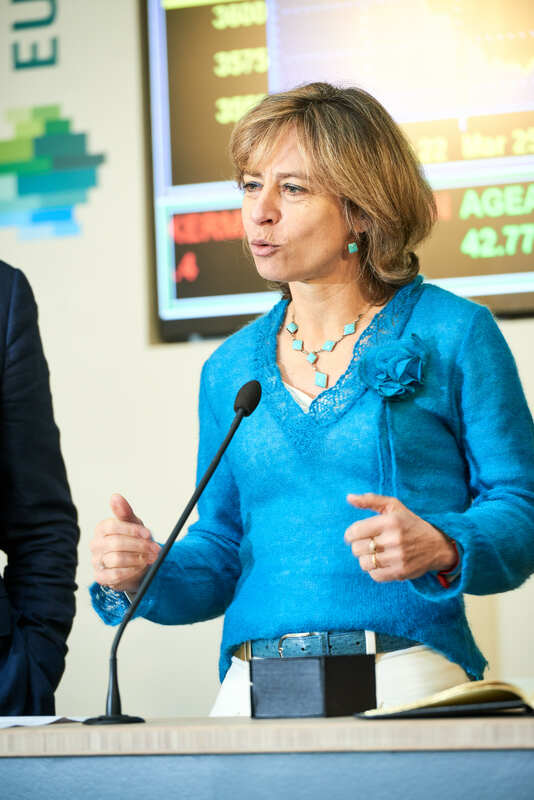 CEO Dominique Leroy, CFO Sandrine Dufour, and Chairman Stefaan De Clerck were received at Euronext Brussels this morning. To celebrate Proximus' 15th anniversary of listing, they officially opened the day of trading during the Opening Bell Ceremony. 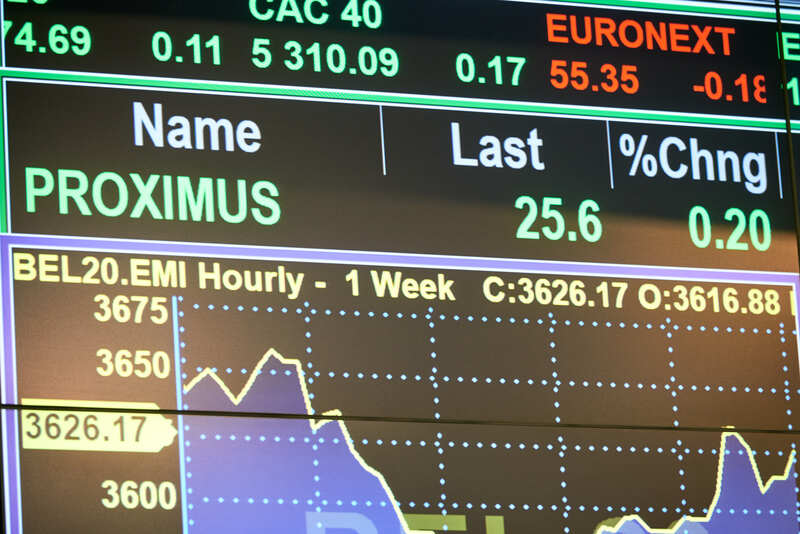 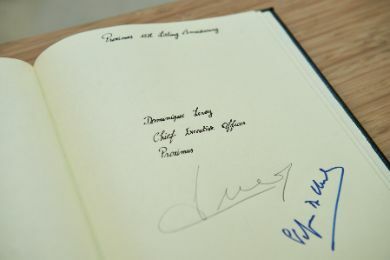 The Proximus share was traded on the Brussels stock exchange for the first time on 22 March 2004 – then under the name of Belgacom. 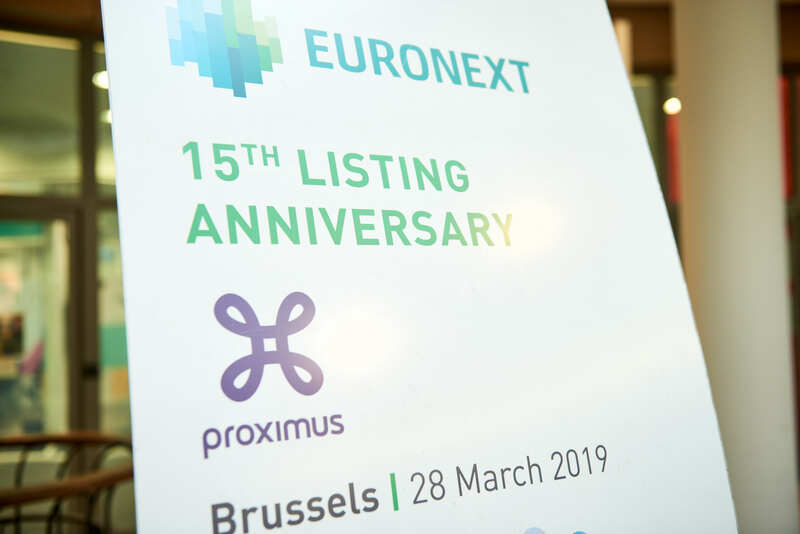 15 years and a name change later, it has become a fixed value on the BEL20, where the company's visibility has grown significantly, both locally and internationally. 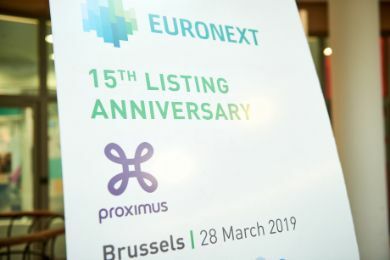 15 years after listing, Proximus is still a financially sound company, with one of the best debt positions in the European telecom sector. 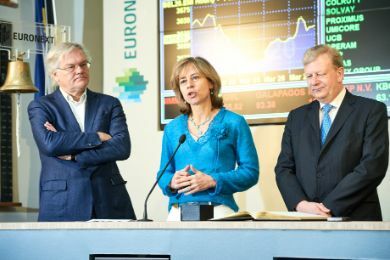 For the dividend over the result of 2019, it maintains its 2016 commitment to return a stable gross dividend per share of €1.50. 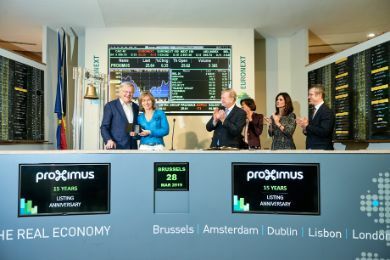 The telecom sector in Belgium and Europe has undergone great changes during that period. 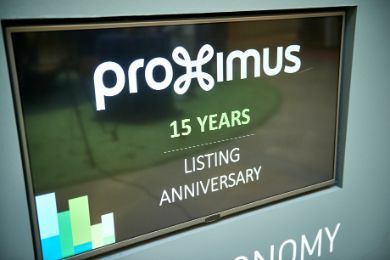 Looking back on those 15 years, Proximus has continuously reinvented itself and tapped into new sources of income by developing new services (digital television, the launch of bundles and packs) and by making a series of strategic acquisitions (including Telindus, Scarlet, Tango, BICS and TeleSign). The "Fit for Growth" strategy launched in 2014 proved successful, thanks to a strong focus on improving the overall customer experience and customer satisfaction, and continuous optimization of the cost structure. 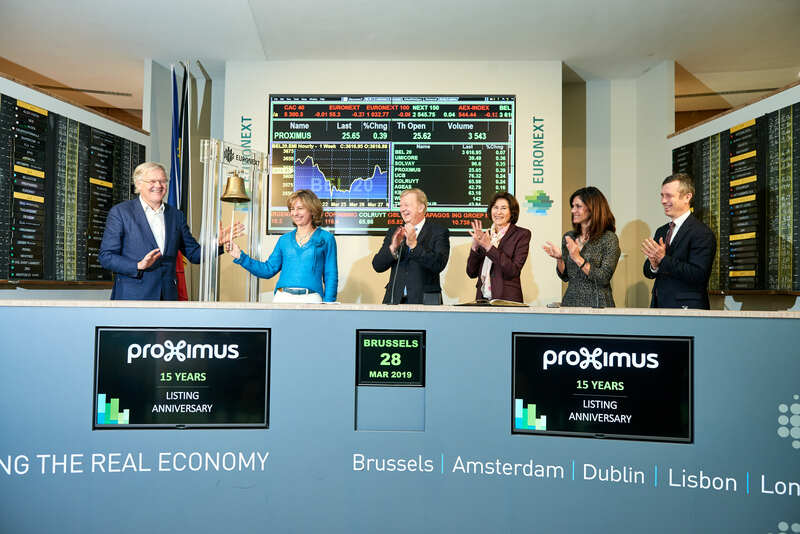 Today, Proximus operates in a very competitive environment, in a sector that has reached a turning point in terms of digitalization. 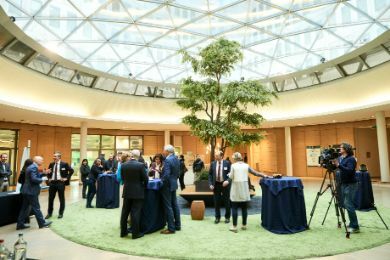 To stimulate growth in this challenging environment, the company launched a new strategy in January 2019: "#shifttodigital". 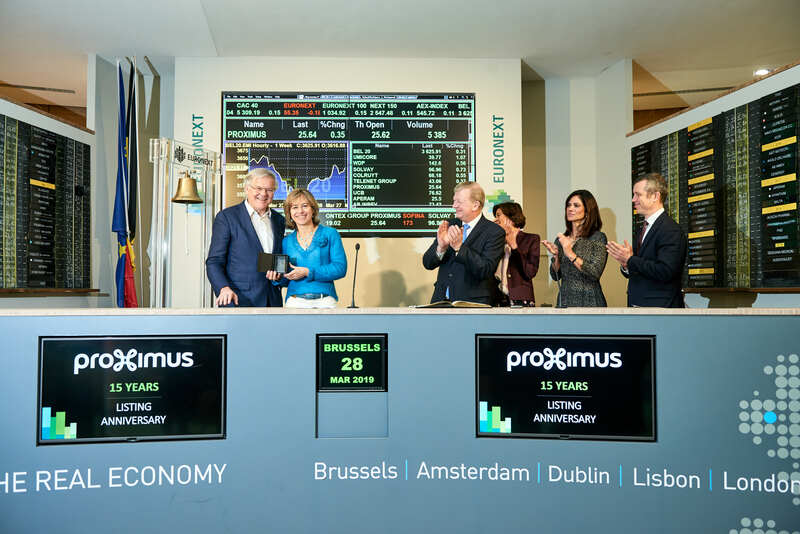 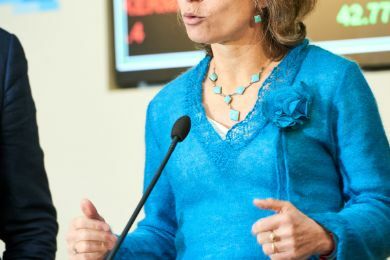 This new strategy will enable Proximus to remain relevant for its customers, to support businesses in their digital transformation, and to become more agile and efficient.